As a finance professional, you're responsible for bringing in revenue as quickly as possible. Difficulties arise when traditional mail delivery is slow, wrong information is sent on the invoice or statement or a storm passes through taking out power for more than a few hours. Ensuring invoices, bills and statements get out on time every day or month while getting it paid quickly is a constant pressure. Captum Technologies services finance professionals and those responsible for revenue management delivers dedicated services for bringing in revenue faster, and protecting the continuous flow of revenue even in a disaster situation. Billing Automation: Print-to-Mail & Print-to-eMail - outsource billing to ensure accurancy of sending for faster revenue generation. Check Processing - completed the same way as print-to-mail with MICRO printing technology. 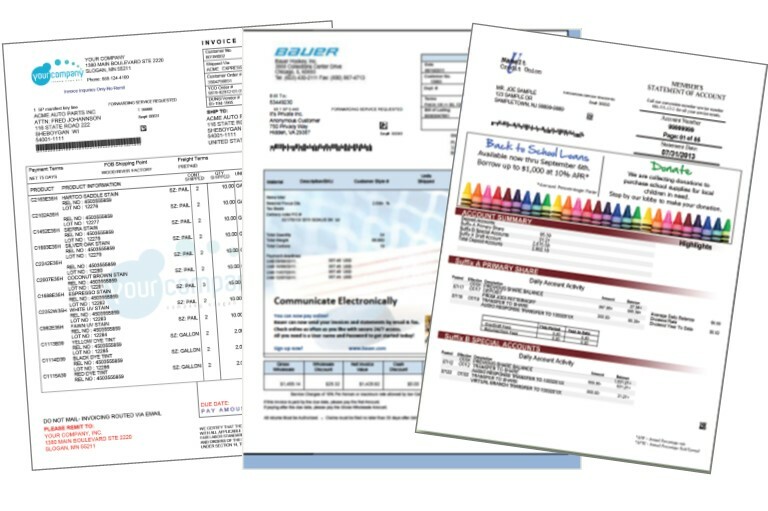 Payment Online & Electronic Archive - an efficient way to look up and pay bills, invoices and statements with an online portal. Tax Document Processing - meet IRS deadlines for 1099, In99INT, 1098, 1099MISC, 1099-A, 1099-C documents. Disaster Recovery for Document Processing - never miss a minute with revenue generation and collections when disaster strikes. Contact Us to reduce overhead expense and DSO.